The AMCAT Computer Science module - what is it all about, detailed AMCAT syllabus for it, suitable fresher jobs and preparation strategies for it. We’re back at it again! After our last stint in exploring the Information gathering module for the AMCAT Test, we explore another module – common for B.Tech (C.S /C.E) and BCA – the AMCAT Computer Science module – what is it all about, understanding the subject, sample papers and the type of questions you may likely face on the piece. What’s the AMCAT Computer Science module all about? The AMCAT Computer Science module is present in both the general AMCAT test and the Engineering AMCAT test module (here too in both Computer Science and Computer Programming module). It is recommended to B.Tech (Engineering students from CS. CE and to those from BCA/BCM/B.Sc. (IT), B.Sc., M.Tech./M.E., MCA/PGDCA, M.Sc. and PG Diploma in Computer Science. Separately, the Computer Programming module which is part of the General AMCAT tests the entry-level computer programming ability of the candidate through 25 questions, based on their understanding (without displaying coding abilities). Meanwhile, the Computer Programming module for B.Tech (Engineering) is an advanced variant of this module, with added concepts. The third AMCAT Computer Science module (Computer Science for B.Tech graduates) is a skill assessment on your understanding of the basics of operating systems, computer architecture, networks and database concepts. The AMCAT Computer Programming module is a 35-minute, 25 question paper to test your exposure to concepts in the field. 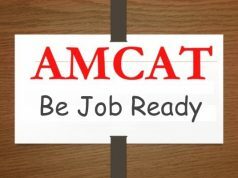 A high score in the AMCAT Computer Programming makes you eligible for the following opportunities amid fresher jobs -Technical Support Executive, Computer Engineer, Software Developer Web, System s/w, Product, Trainee, Testing Engineer, Research Engineer, Content Developer-IT and IT Recruiter. Similar to the non-tech computer programming module, students attempting this paper will also get a 25 question, 35-minute test to showcase their understanding of theoretical concepts, without actual coding. The Computer Science module, a 26-question skill assessment in 25 minutes – aimed at assessing where you stand in the basics of operating systems, computer architecture, computer networks and database concepts. A high score in the AMCAT Computer Science makes you eligible for the following opportunities amid fresher jobs – Software Developers, Database Administrator and Network Engineers. AMCAT Test vouchers are time-bound and are released during special drives. Follow our social pages for the next time one is released. Hi ! I am graduated in mechanical engineering. Can I apply this?? We need to choose any one of the optional modules?? You can opt for the AMCAT test in your final year. Whether you get the Computer Science module depends on your current stream. Try booking an AMCAT test online and check what kind of optional modules you receive, apart from the essential English, Logical Reasoning and Quants. Do we need to choose any one of the 3 modules or write all the three? And is there negative marking in amcat? The choice is in your subject modules and is dependant on your course. Would recommend that you try to book an AMCAT Test, so that you can see your specific choices (exit after the choices page). Is there negitive marking in amcat???? No Rekha. But your percentile score does decline as the adaptive test adjusts your next questions on the basis of your incorrect answers. I am a CSE student. I want to give AMCAT but am unavailable to understand the 3 parts of Computer test as discussed above. All three are compulsory for AMCAT, or we have to select any one of them, 1)Computer science 2)computer programming 3)computer Programming tech? Please help. The AMCAT has three compulsory sections – English, Logical Reasoning and Quants. The rest of the subjects can be chosen according to your course. So, when you book an AMCAT and put in your college course as CSE, you would be able to opt for courses according to the breakup listed there. Normally, it covers both CS and Computer Programming. I am a Biomedical Engineering Student. There is no special stream for Biomedical So, I’m interested computer programming. Is there any possible to attend the amcat computer programming test from different branch. Of course, you can. Just go through the syllabus for the test and prepare well. You can definitely give the exam even if you are from a different branch. Hai, i am a cse student which one can i choose from computer programming and computer science or both. As a CSE student, both, computer programming and computer science are suitable for you. However, it totally depends on your interest and stronghold. I’d recommend you take both see which one you score better in. This will give you a clarity on which subject area you should focus on with your career. is amcat a written test or online? AMCAT is a computer-based adaptive test. You have to register yourself for the exam through which you get an examination date and venue. Just like the CAT exam helps you get into an MBA course, AMCAT helps you get a job. You can get access to the syllabus of any module from our syllabus section. Click here to find the syllabus for CSE. i am from ECE background but want to work as a software developer in IT industry. So, can I apply for Amcat CSE module? You certainly can. 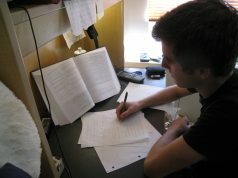 However, do make sure that you are very well prepared for the exam and score tremendously good in the subject module. I have done BSc. Hons. in computer science Can I choose both computer science and computer programming as my optional module? As I know programming as well. Absolutely. You must always choose the subject module which you have a strong hold on. There is a separate module for coding, which is called the Automata. It is the core parameter on which companies measure the performance of candidates applying for developer jobs. In amcat exam we have to select the branch subjects. Such as opps , dbms , computer networking etc. And my branch is CSE , if it is compulsory to select then pls help me out which subjects should I select to grab good opportunity in IT field or to grap software developer jobs. If you seek interview calls from IT companies for developer jobs, then you should choose Computer Programming and Computer Science as your subject modules for the amcat exam. Hope this helps. Hi, I am a BE-CSE 2017 Passed out. I have doubt in my syllabus. I choose 3 topics[Eng, Quant, Logical] from Compulsory part. And i choose [Computer programming] from Engineering part. Totally 4 topics enough or how many topics i need to choose? How many topics i need to choose minimum? 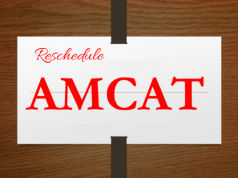 There are 4 modules in the amcat exam which are compulsory, and you can choose a minimum of 1 or a maximum of 2 modules from the selective part. Sir I am confused about computer programming 1,2 n 3? I am Chetan Kumar i am from cse background but want to work as a software developer in IT industry. So, can I apply for Amcat CSE module? can you please elaborate a little more on your confusion. There’s no computer programming 1,2,3. There’s a computer programming module, and a computer science module. Both differ very slightly, and on the basis of their syllabus. I am from eee. Can i choose programming 1 and programming 2( tech) modules both at the same time. Or these two are same. There is Computer Programming and Computer Science as the two modules, and both of them are different. And, yes, you can take both of them together. However, being from an electrical background, I would strongly recommend you to choose programming modules only if you are confident with the syllabus topics.